Bansko is the most popular ski resort in Bulgaria, located in the foothills of Pirin Mountain. More and more people travel to Bansko each year in December/February attracted by low prices, quality snow and excellent accommodation. 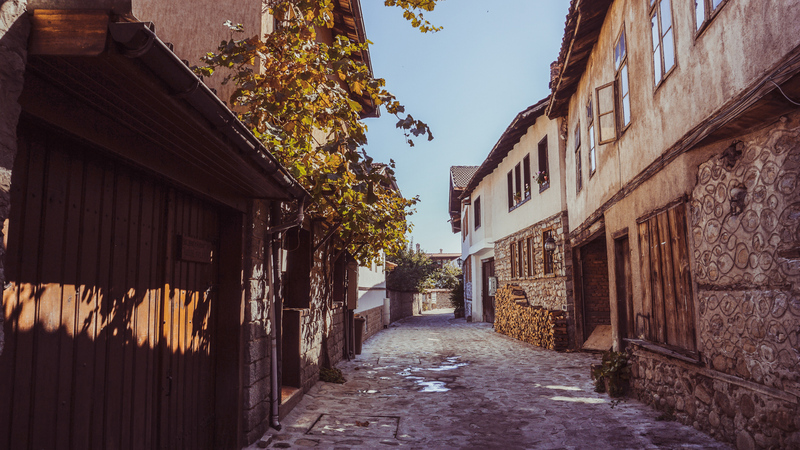 Full honesty, Bansko has never been my favourite ski resort in Bulgaria, but I was able to visit the town three times in the last four months and saying I was impressed would be an understatement. 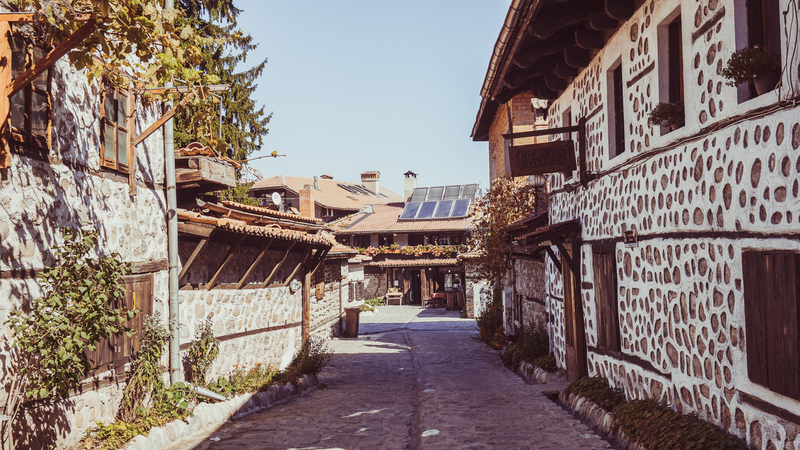 Bansko is only a small town, but it is a real gem for the hot summer days. 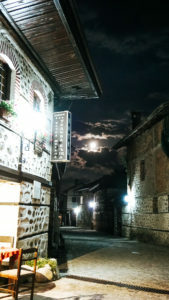 It is located 150 km away from Bulgaria’s capital and it is a great choice for a long weekend getaway. 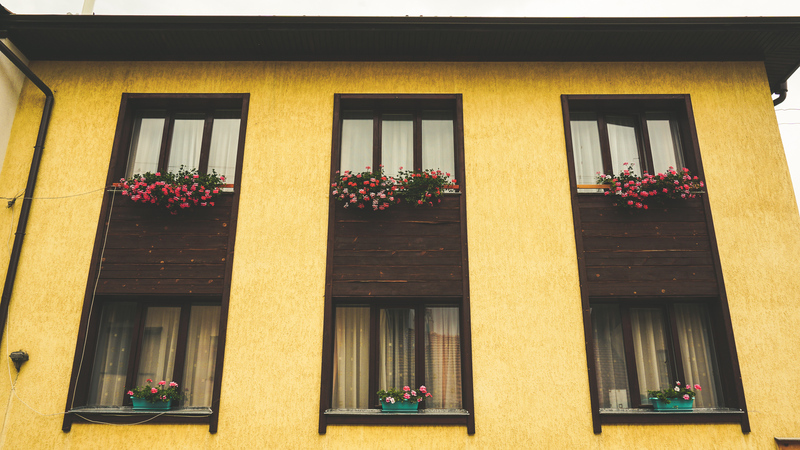 Before you head to Bansko, make sure that you are prepared. Getting to Bansko is not that difficult, as it is not too far from the capital, and there are numerous public transports that you can use. Buses run almost every hour from Sofia to Bansko. My personal recommendation is to get tickets in advance from the Central bus station. There are also many companies that offer airport shuttle from Sofia Airport to Bansko or rent a car. And probably the slowest but also the most interesting and exciting way to get to Bansko is by train. Read more here about the experience of getting the Rhodope Narrow Gauge Train, which will take you to Bansko. In the last four months, I went to Bansko three times. I visited the town around mid/late summer and beginning of autumn, and each time the weather was absolutely fantastic. 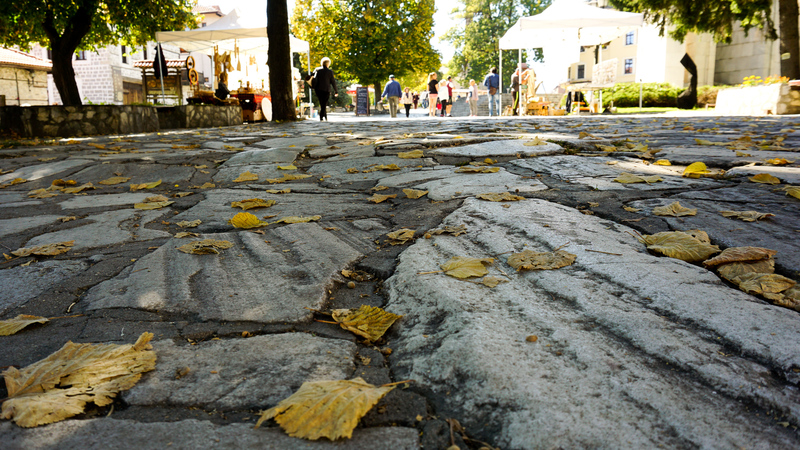 Personally, I do not massively enjoy Bansko during the ski season, as it gets overcrowded, but I loved the town in the summer/autumn season. I would suggest a trip around July or August as you will be able to escape from the hot city days and enjoy the pleasant mountain feeling. You may wonder what you can do in a ski resort during the warmer seasons, when there is no snow. 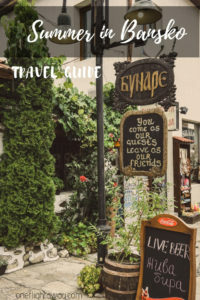 Keep reading and learn my top tips what to do and where to go in Bansko during the summer. Pirin Mountain, which is covered with fresh powder during the winter, offers a number of hiking trails in the summer. Pirin Mountain is home to the second highest peak in Bulgaria – peak Vihren at 2,914 meters. More than half of the mountain’s range area is covered with granite rocks, and you may feel slightly anxious when gazing at it from the distance. Don’t let the cold and austere look of the mountain, mislead you, though. The mountain’s wildlife is so rich that the north part of the mountain is protected as a national park and is part of the UNESCO World Heritage Sites. 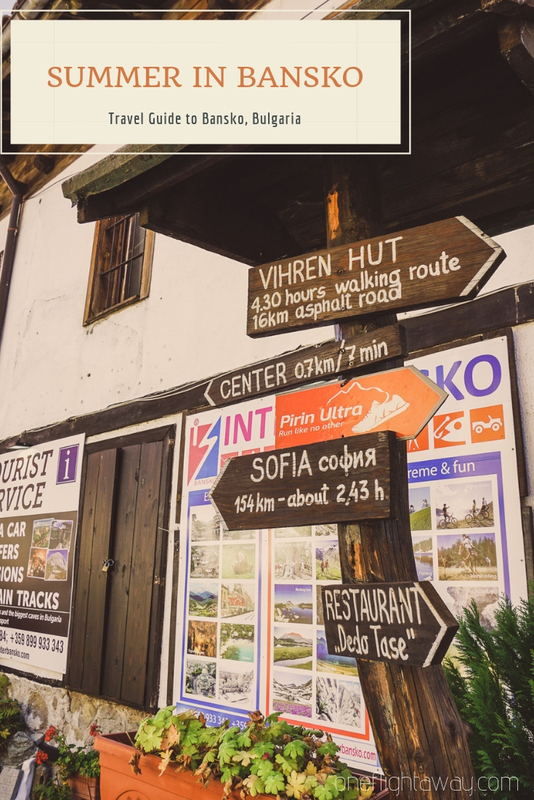 Click here to check my favourite 5 hikes in Pirin National Park. Bansko is fantastic not only for winter sports, such as snowboarding and skiing. Various sports activities during the summer months are also available for the visitors of the town. There are over 200 km of excellent routes for the mountain bike fans. If you are seeking an adventure you can also choose between paragliding and rock climbing, which you should better get an experienced instructor for. Horseback riding and off roading in the mountains are some of my favourite summer activities and you will surely find them in Bansko. 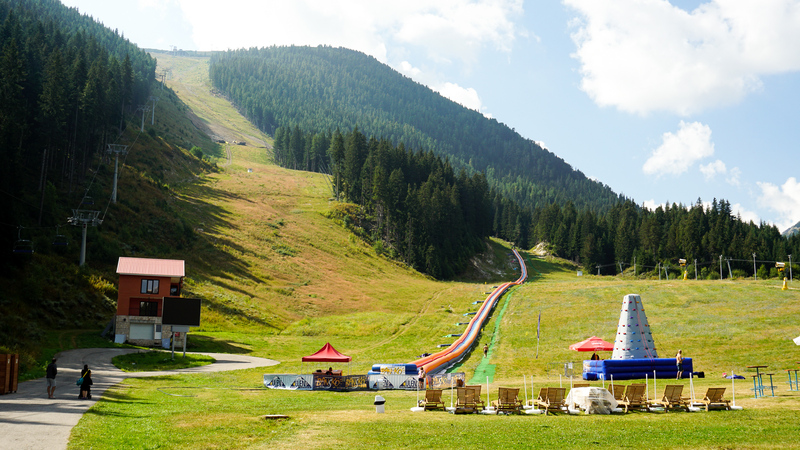 Since 2016, Bansko is also home to the longest water slide on the Balkan Peninsula. 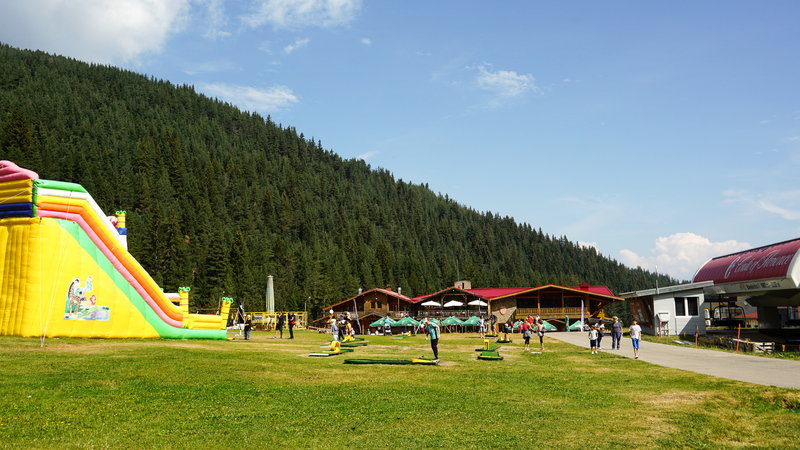 The inflatable 350 meters long slide is located at Banderishka Polyana and is working every day during the summer period starting from the end of June. Playgrounds, swings and inflatable castles are good options for the youngest, while there are also mini golf, shooting range and football pitch, which top up the list of activities for tourists from all ages. 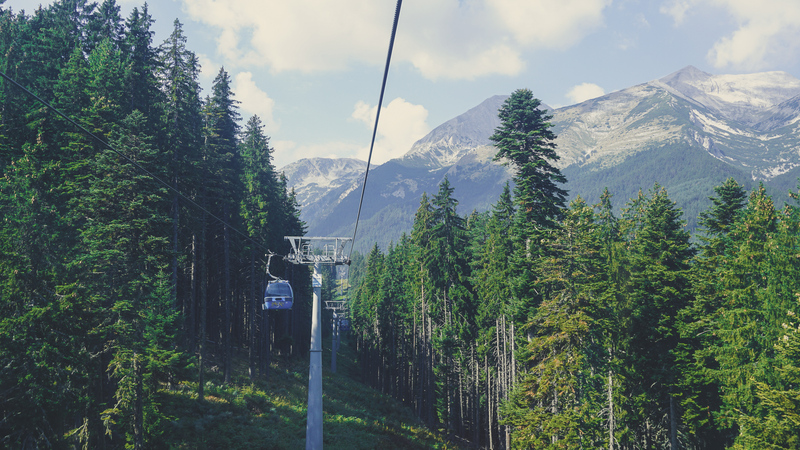 The best way to get to Banderishka Polyana, where the summer water slide is located, is to get the Gondola Lift. The Gondola is also the lift, which tourists use in the winter to get to the ski slopes. Nevertheless, the cabin is operational all year round and it takes about 30 minutes from Bansko to the top where Banderishka Polyana is. Return tickets cost between 20 – 16 leva. If you have decided to go check the timetable here. Bansko is also one of the most popular spa resorts in Bulgaria. There are many 5/4 star hotels in Bansko offering luxurious spa treatments, fine dining and fantastic relaxation and fitness options. Most of the hotels have at least one indoor swimming pool and its own spa center. One of the most luxurious hotels in Bansko is Kempinski Hotel Grand Arena. If you are looking for the ultimate spa experience, this is the hotel you should be staying at. Check the website for more information. 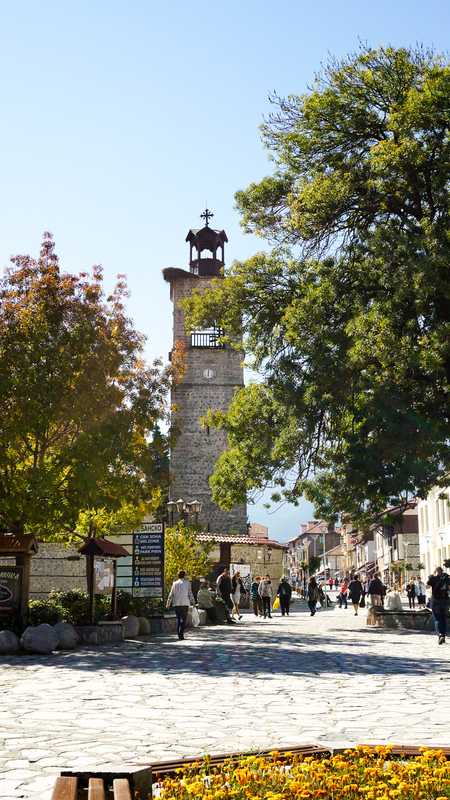 There are also a few museums, churches and cultural sites which are worth visiting in Bansko if you have some extra time. 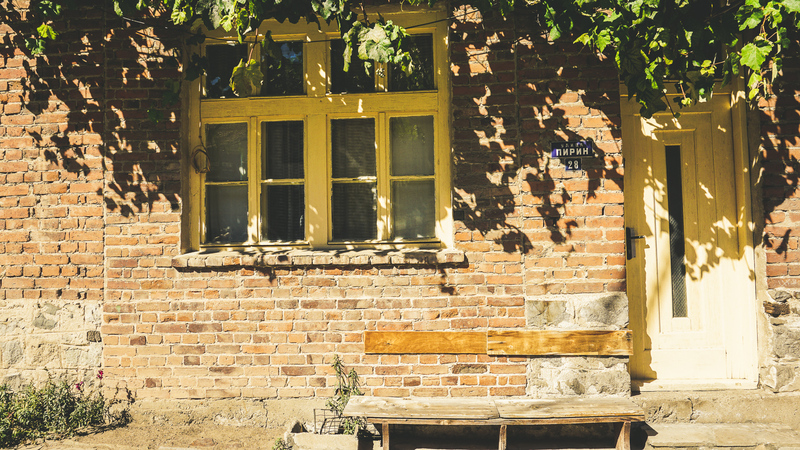 If wandering through the small streets of the ancient town has inspired you and you have a desire to immerse yourself further into Bulgarian history and culture, you should visit one of the most popular buildings – Velyanova House. 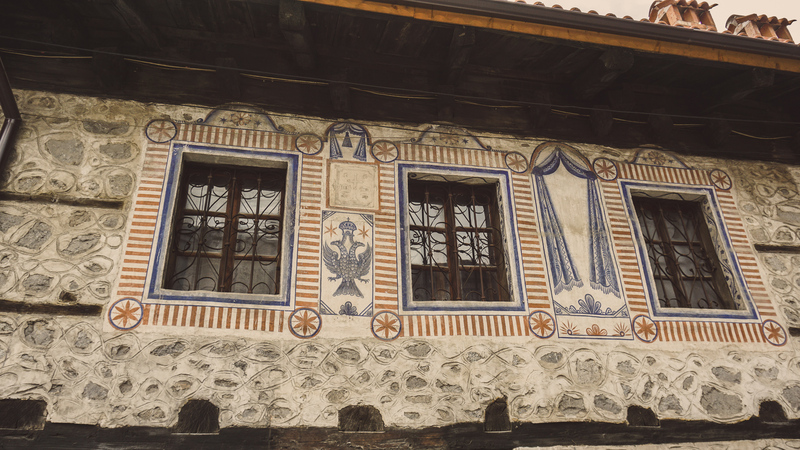 This house was transformed into a museum, showing visitors the traditional Bulgarian lifestyle from the Renaissance. You will be impressed by the rich decorations inside and outside of the house, presenting the daily life of the locals with natural motifs. 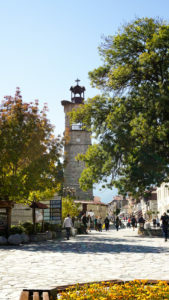 In the middle of the town square, you will be able to find the symbol of Bansko – St. Trinity Church. The church was built around 1833 – 1835 and for many years it was the largest on the Balkan Peninsula. You will quickly be impressed as you walk through the gate. Beautiful wall paintings and carved iconostasis are some of the reasons why the church is still considered as one of the most outstanding national monuments. 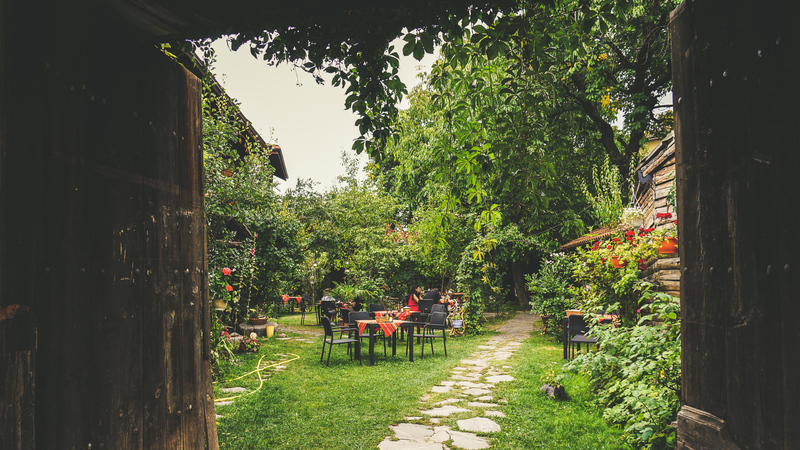 Bansko is not only a fantastic place to experience the Bulgarian culture and history but also a great spot to meet and connect with new people. If you suddenly feel the urge to do some work and want to find a cool spot, you should certainly visit Coworking Bansko. This is not only a home for digital nomads and freelancers, providing the basics such a desk and chair to work from. 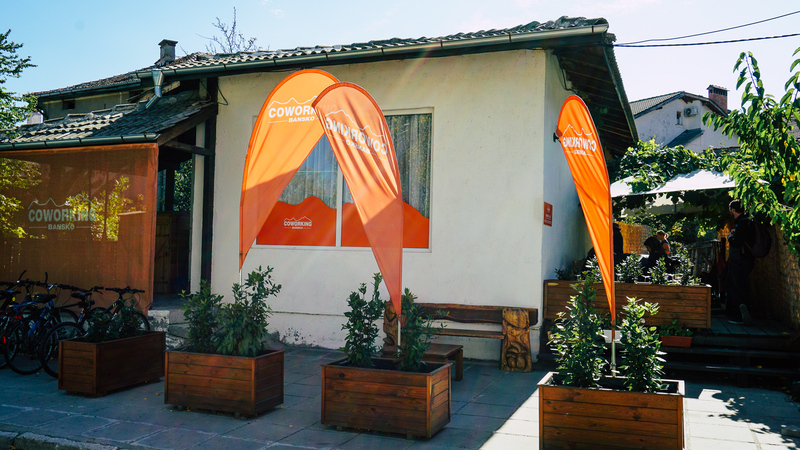 Coworking Bansko is a community of inspiring people from all over the world. They organize many great events throughout the year and are always happy to welcome new members. Click here to learn more. If you want to mingle with the locals, you should go to the Sunday Market. For the locals this is not only the chance to buy fresh fruits and vegetables produced in the nearby villages. This could be seen as a social event, especially for the older generation, who manage to catch up with some friends while buying potatoes from the vegetable stand. 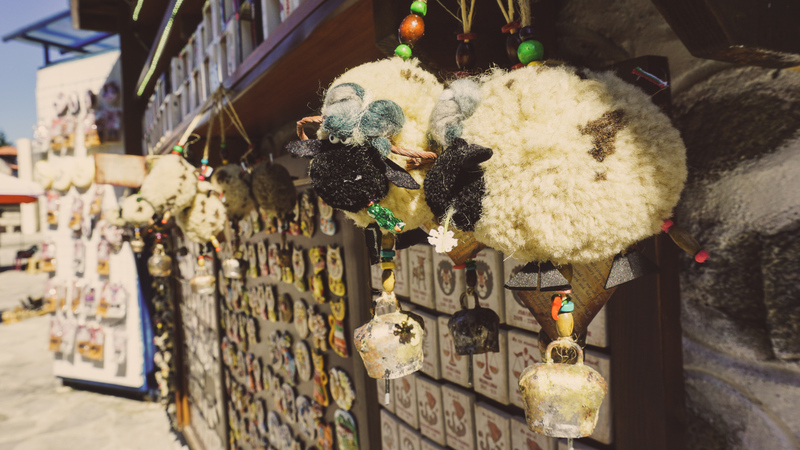 If you want to learn more about Bulgarian culture and tradition, you need to experience the hustle and bustle of the market. Last but not least, the question of what to eat and what to drink. Hopefully you like wine and meat! Bulgarian cuisine is extremely delicious and once you try it you will not be disappointed. When in Bulgaria, you should eat like a Bulgarian. You might wonder what does that mean. It means that you should eat meat at least three times per day. Yes, even at breakfast! All kidding aside, Bulgarians eat a lot of meat and especially pork. Sach is one of the most popular main dishes in Bulgaria, and it is often shared between a few people. It is a combination of different types of meat with some vegetables cooked and served on a hot iron plate. For starters Bulgarians always have salad and the most common one is Shopska Salad, made of fresh local tomatoes, cucumbers, onion, peppers and white cheese on top. To try the traditional Bulgarian cuisine you need to go to Mehana, and there are plenty of them as you roam through the streets of the old town. 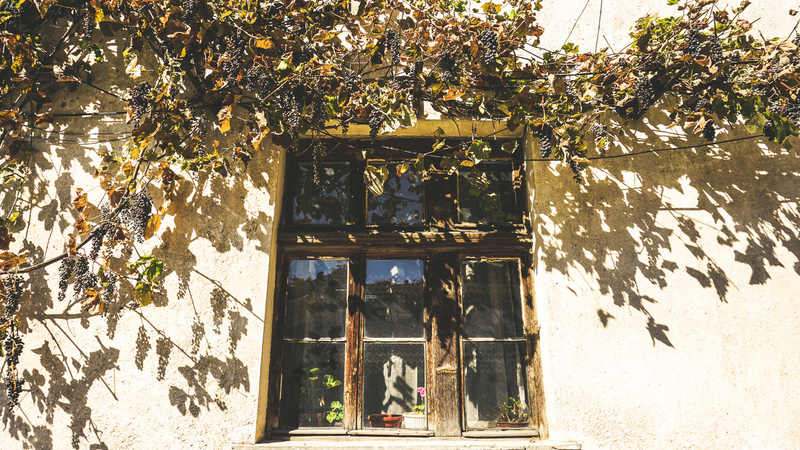 Bulgaria is extremely popular for its wine production. Grape is grown all over the country, and the wine variety is absolutely impressive. 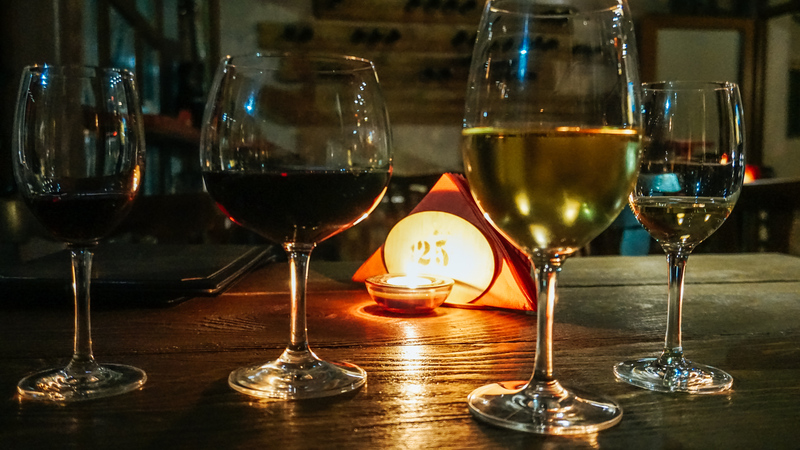 From aromatic and sweet white wines to dry and dense red wines, Bulgaria has it all. While you are in Bansko make sure that you pass by Wine Bar 25. It is run by friendly Bulgarian twins who provide an outstanding service. They will be happy to share their knowledge with you about Bulgarian wine and shisha. The cozy and warm atmosphere by the fireplace, will make you feel like home and you will not want to leave. This is a must visit place in Bansko. 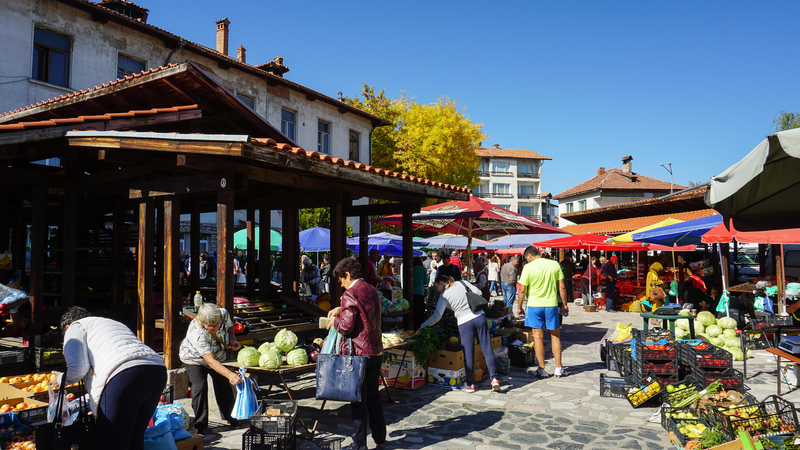 I was absolutely impressed by my trips to Bansko and enjoyed exploring the town and everything it has to offer. I was so happy after each of my visits that I am even considering trying its ski slopes when the winter season starts this year (even though that I am very loyal to my favourite ski resort – Borovets). What about you guys? 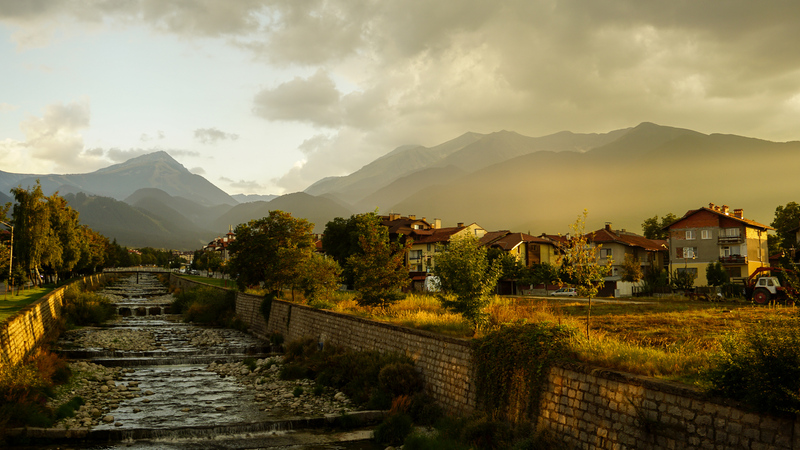 Does Bansko sound like a place you would like to visit? Would you like to visit the town? Would you go in the warmer summer months or would you prefer to try the ski slopes in the winter? 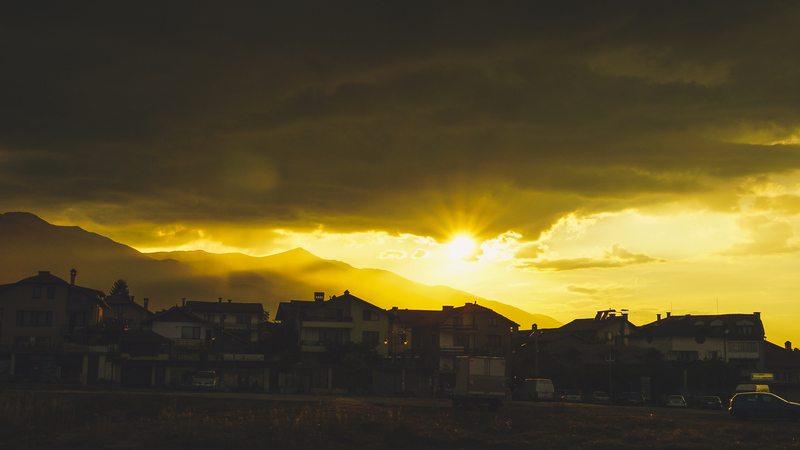 Also feel free to share your experiences of Bansko if you have already been there in the comments section below. Love reading about off the beaten track destinations like this. With the old town and the stunning scenery, this is definitely one I’ll bookmark for future travels! Those are absolutely stunning photos! I especially like the sunlight in the first two. Very cool that you chose to cover a ski town during the summer months! It looks lively and definitely worth a visit.